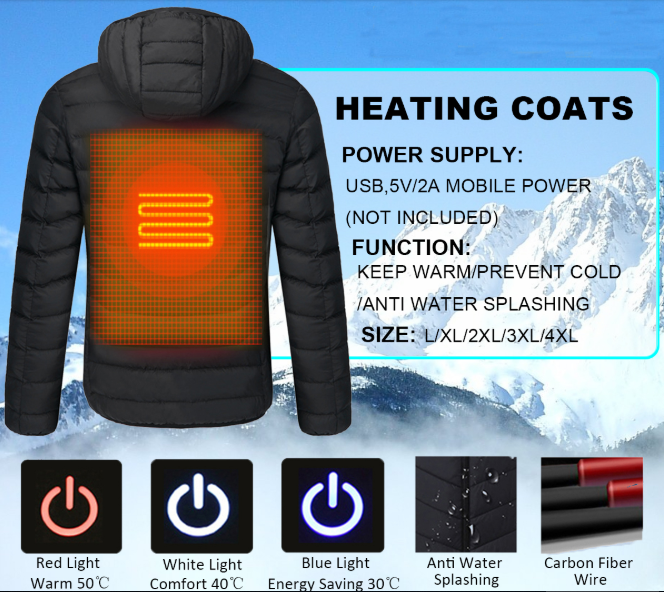 Check out the popular USB heated Cervical jacket that will warm those who venture out in the cold. 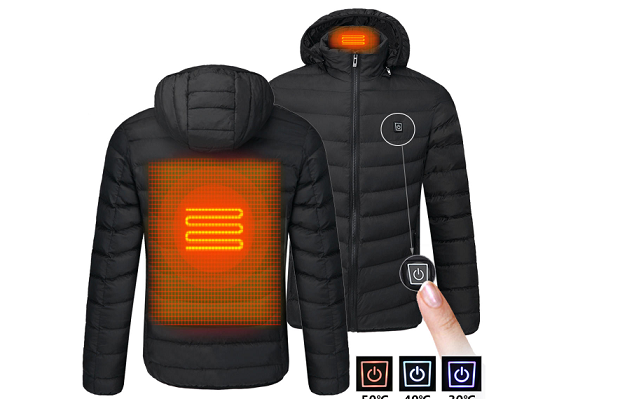 This USB Heated Warm Back Cervical Spine Hooded Winter Jacket is designed to keep the harsh cold out and the warm comfort in. 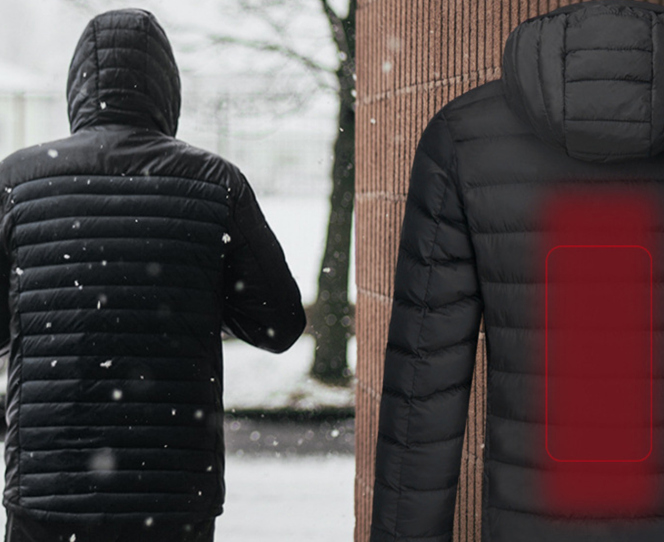 This USB Heated Jacket provides unmatched warmth and all-day performance to keep you comfortable through the coldest workday. 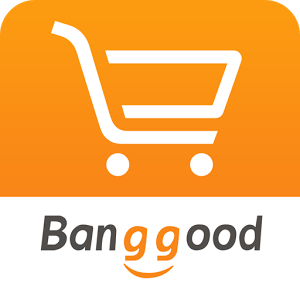 Currently, Banggood is offering its Medium size for only $40.79 ( other sizes also available at different prices ). Its upgraded designed heating system ensures you enjoy comfortable warmth. Large area carbon fiber wire heater imported from Japan, safe and insulated. 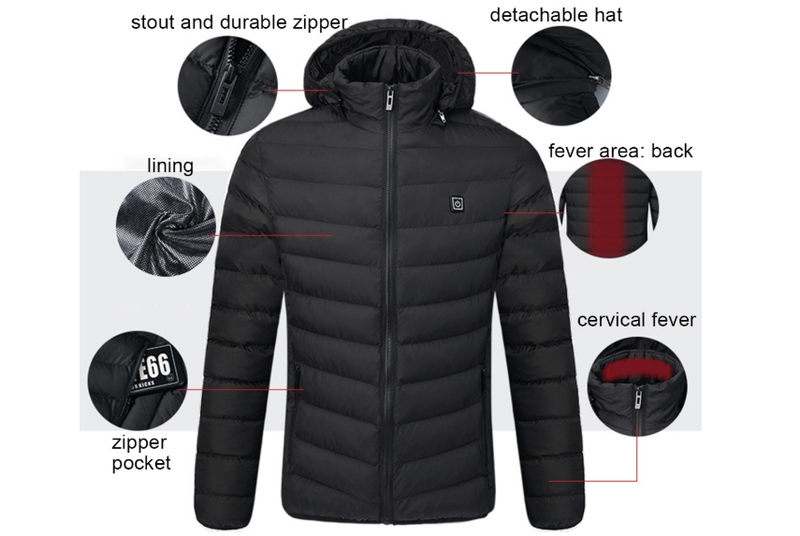 The jacket only (0.5) kg, comfortable & skin-friendly, touching smoothly and warmth better. It can help you easily live through a whole winter without wearing bulky clothes under cold condition. This heated jacket pairs state-of-the-art carbon heating elements with multi-layered fabric technology to take cold out of the equation on the job site or during outdoor activities. 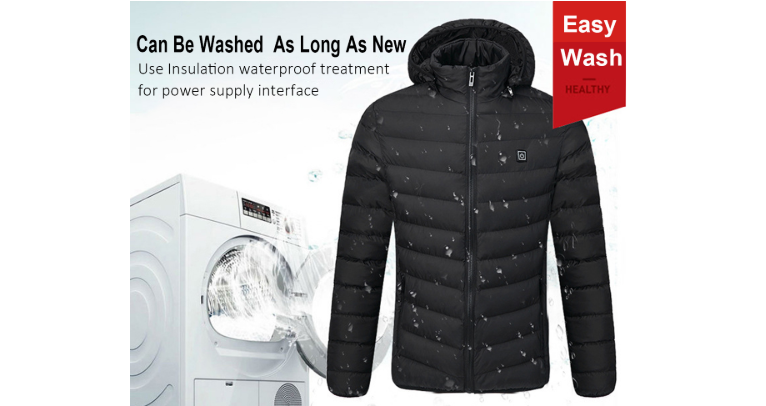 Wind and water resistant, the jacket features adjustable heat settings for the core and cervical area. When, after connecting any 5V/2A power bank, its 4 carbon fiber heating elements generate heat across core body areas (left & right abdomen, neck, and mid-back); Adjust 3 heating settings (High, medium, low) with just a simple press of the button or smart auto-jump to lower temperature. With 12000mAH power bank, you can keep heating 6 to 8 hours used time and for the cold, you can use it till 8 to 10 hours. Take out USB plug, Plugin and Switch on the movable charger, Press the chest temperature control switch for 3 seconds when red light flashing, means heating automatic, After red light flashes for 5 minutes, then automatic turn to white light means the medium temperature. 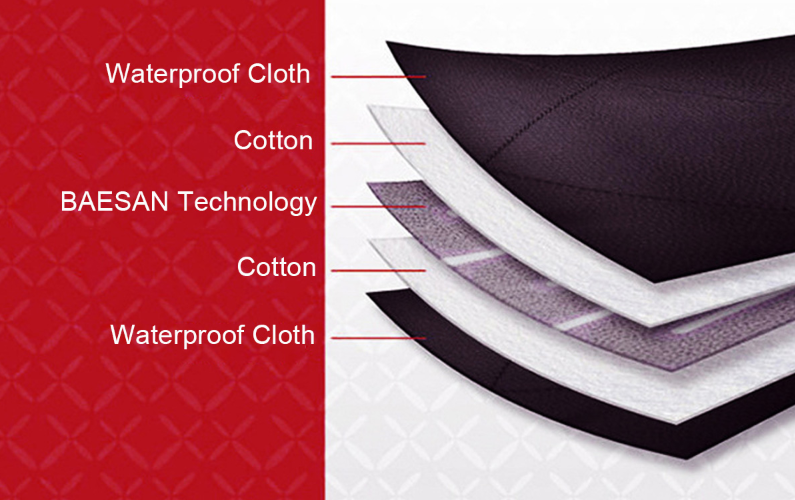 Its manual adjustment has 3 level, red light means high-temperature heating continuously. White light means medium heating continuously and blue light means low heating continuously. If you want to switch off the jacket just press the chest temperature control switch for 2 seconds, lights out and stop heating. If not used for a long time, please do not plug in the removable charger and do not use high-temperature water or strong acid detergent. Forbidden to use electricity for wet clothes, Please turn off the power and stop using if the cloth is wet. Use time depending on the capacity of removable charge. 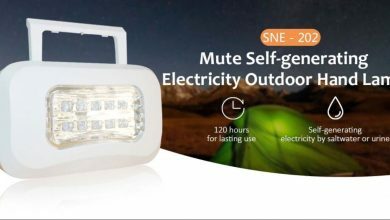 So, this is an ideal gift for family members, friends, employees, to enjoy snowmobile, motorcycle, mountain, camping, hiking, skiing, Fishing, Hunting or office routine and business try during fall and winter. Currently, its Medium size is available at Banggood for $40.79 ( other sizes also available at different prices ). 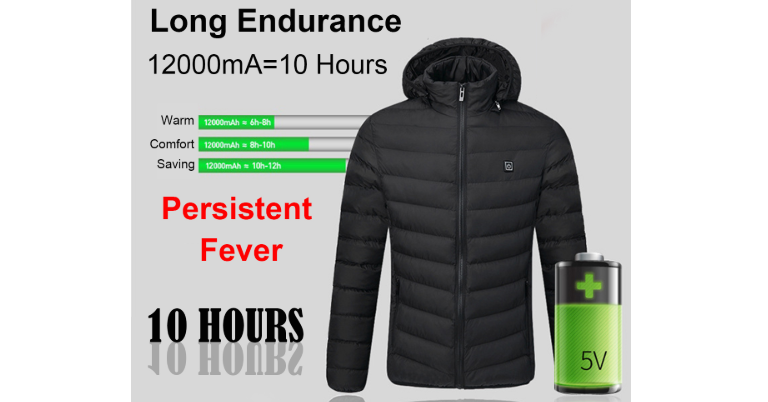 Besides, Baggood also offering the other verity of heated jackets that also suitable for you. Just click the buy links to find out more details about the other jackets. There, you can also find a collection of motorcycle boots, so if you are interested just click here.